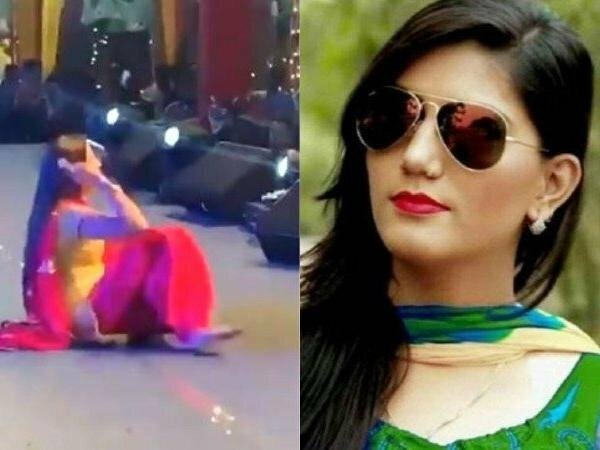 Sapna Choudhary Loses Balance While Performing On Stage!!! Teri Aakhya Ka Yo Kajal song from the album Teri Aakhya Ka Yo Kajal is released on Mar 2018 . The duration of song is 04:24 was performed by a famous Haryanvi dancer and singer Sapna Choudhary who has entered Bollywood is surfacing at the social media in which she cleaverly took over the imbalance occurred during the dance over the popular song”’Tere Anakhy ka Yo Kajal’. She does not let her performance stop for a second in between and keeps dancing. As soon as the balance of the dancer worsens, the next moment she starts doing one step. Currently the Dancer is in spotlight due to joining Congress party these days. Her picture with Priyanka Gandhi floats at the media shared by senior congress leader and actor Raj Babbar from UP constituency. However, she denied all rumors of her joining Congress party. Spinster Actress Gladly Announces Her Pregnancy news Leaves Fans Aw!!! Ameesha Patel landed up in soup of Fraud of Rs 2.5 Crore!! !